When the pack of beads for the Australian Beading Forum's Designer Quest arrived I swooned at the beauty of the gorgeous Czech beads with a slight twist. I had several weeks to come up with a design, but some of my ideas just weren't working. 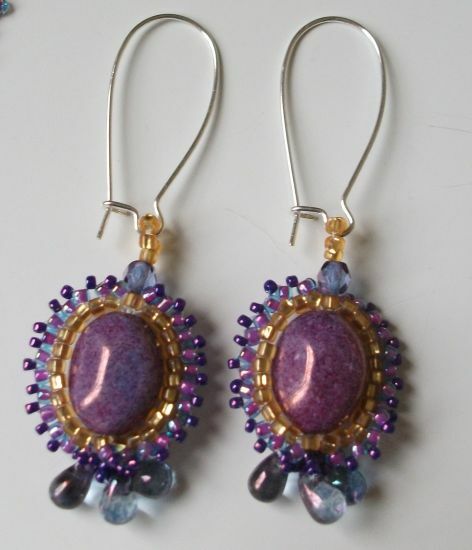 I let the beads sit on the bead mat and just glanced at them every day for a couple of weeks. 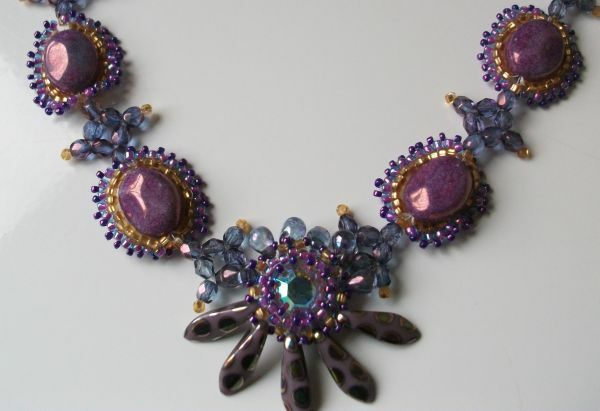 Eventually, I design idea gelled and I sat and worked the first of the purple Czech beads. I had to play with the right combination of colours, but struck on the final choice as a winner. I made all eight components and thought about how to achieve what I had in my mind, but that was also a trial and error process of different ideas that worked, but not for this design. I finally settled on the firepolish Czech beads in between each of the components and made the already decided St Petersburg chain for the rest of the necklace. I'm really pleased with this design. I wore it on Sunday and had several great comments on the piece. Anyway, here it is. I hope you enjoy viewing the finished product. 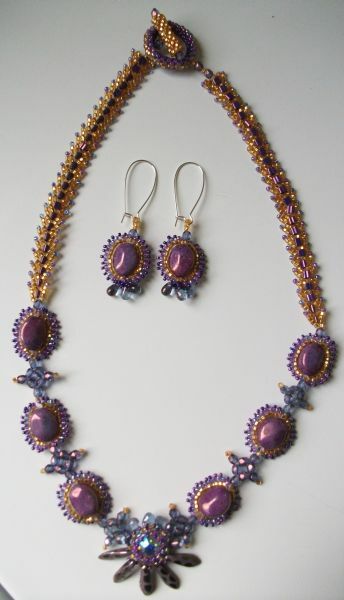 The beads are all from Cranberry. I love your necklace and earrings they are gorgeous. I just did a simular challenge(I posted it today on my blog)where I was sent a packet of beads that I had to create from. These types of challenges are tough, but fun.